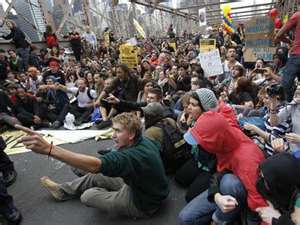 Tune in tonight at 10pm to 91.3FM WBNY for a special #occupywallstreet edition of the Upstate Soundscape. No doubt most of you are already aware of the movement that has been growing down in lower Manhatten over the past 2 weeks and has now started spreading to cities around the country, including Buffalo. Tonight’s show will be dedicated to those sleeping in the streets of NYC and elsewhere while also providing a very Upstate Soundscape-style soundtrack for those engaged in the stuggle. Host Needles Numark will also offer some thoughts on the role that experimental/avant-garde music and sound might play in all this.